Pepperl+Fuchs is one of the world’s leading providers of industrial sensors and explosion protection. Based on an intense dialogue with our customers for more than 70 years we continue to develop new components and solutions, which support their applications the best way possible. For the landmark topic Industrie 4.0 (Industrial Internet of Things) we develop innovative technologies that pave the way to the digital networked production and to data transfer across all hierarchy levels – even beyond companies’ boundaries. Market-specific solutions dominate an extensive portfolio of industrial sensors that covers all applications the market requires from today’s automation technology. 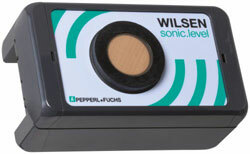 From the inductive and capacitive to the photoelectrical and highly precise ultrasonic sensors, identification systems and many more Pepperl+Fuchs offers all current operating principles in a broad variety. Sensorik4.0® provides sensor technology for Industrie 4.0. Our technologies enable sensors without difficulty to communicate horizontally within the production process and to exchange data vertically – even into higher-level information systems such as MES or ERP. Components and technologies for use in hazardous areas are designed to fit the most specific requirements in the industries we serve. They guarantee maximum availability at maximum safety. Isolated barriers, signal isolators, remote I/O or fieldbus systems, HMIs and many other technologies offer solutions for a wide range of applications including certified packaged solutions and all types of explosion protection. Ex-Protection4.0 brings digital networked Industrie 4.0-production structures to process industries. With concept studies like Ethernet for Process Automation integrated communication throughout all levels of an automation system via Ethernet becomes feasible – for the first time ever even down to the filed level.